How could you missed a day! Unforgivable! It's a COUNTDOWN! Everybody knows countdown is important and respected becasue--it's a COUNTDOWN! Oh wait, timezone... Never mind. but OMG - how do you have that??!!!!!!!???????? 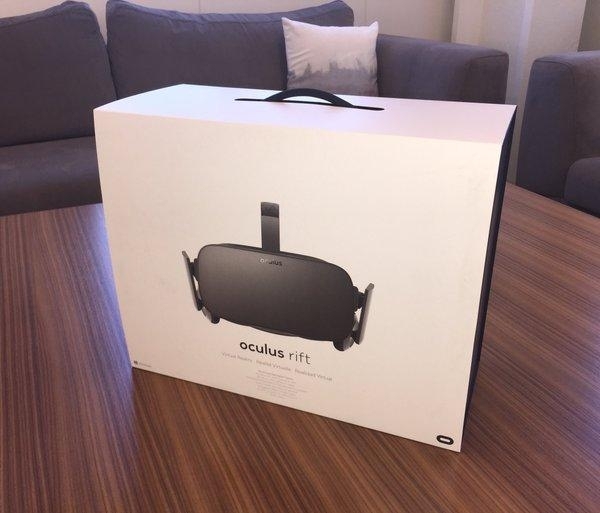 I should have been more clear: That pic is an official pic from Oculus that they posted on twitter--that is what will be shipped to people. Still, she's purrty. had the Omni preorder, had to make the Oculus preorder. I was really surprised when they didn't charge me at point of purchase. The array of people getting their shipments soon would have looked very different if people had known that. Lucky. But I've waited so long (as we all have) it doesn't bother me that much anymore to be honest. Well, I got an email from Oculus but it just basically said sorry for the wait and check back on the 12th Good news is they said their covering shipping and handling Say what you want about Oculus but they know how to treat their customers right. Covering the shipping is nice especially for folks in places like Australia. though personally if it was me waiting for my Rift it would be too little too late. I got the same same email. I appreciate the gesture; thank you Oculus! Yeah, international is covered too. Exchange rate is a killer, or so I heard. yep... the "free shipping" is saving me about $200 on the price..
but it's now "8 days till update"
Free shipping is probably saving about as much as I would have saved if Oculus took account of exchange rate changes since I ordered. So that's OK.
7 days till update... feeling a lot calmer now, and my HOTAS and pedals are arriving today so I have a new toy to play with and setup while I wait..
@kzintzi - what's sad about the email?